Need a ride? California Baptist University has got your back. Zipcar, a first-class, car-sharing service, has paired up with CBU to offer students, faculty and staff members an alternative to car ownership. Boasting over 9,000 cars in 23 major cities and at over 300 universities worldwide, the rental-car service aides struggling students without tranportation. “Zipcar is the world’s leading car sharing network, (and) has operations in urban areas and college campuses throughout the United States, Canada, the United Kingdom, Spain and Austria,” said Joe Adcock, assistant dean of students. “We will have two cars available on campus that will be parked in the (Billie & Eugene) Yeager Center visitor lot,” Adcock said. All licensed drivers over 18 years of age, including international residents, are eligible to drive a Zipcar. Anyone interested in utilizing the service must first complete a few simple steps. 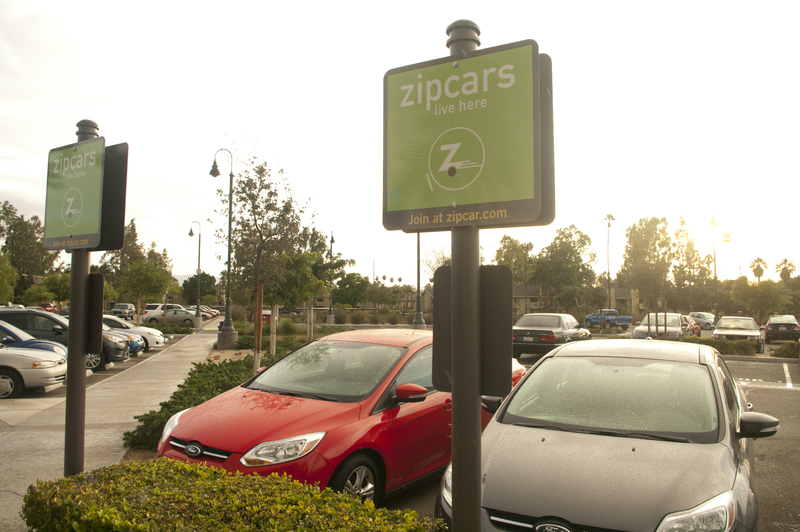 An initial Zipcar membership can be obtained online at zipcar.com/calbaptist for $25. New members must first complete an application for insurance purposes. Once an application is approved, Zipcar will mail the applicant a personal Zipcard, allowing the student access to drive the vehicle. Reservations for a vehicle can be made online by Zipcar members, and must be completed for a Zipcard to work. Though CBU offers two Zipcar vehicles, approved Zipcar members over the age of 21 are granted access to reserve any Zipcar vehicles. Each vehicle reservation includes gas, insurance, maintenance and 180 miles of driving for one day. Reservations start at $7.50 an hour or $69 a day. Sarah Mori, sophomore public relations major, said she is thrilled to hear the good news. Any interested drivers are encouraged to apply. First-time members receive $35 in free driving for the first year of membership. For more information, visit: www.zipcar.com.